Patrick was born in 1931 in Co Galway. Patrick's father was James Flanagan and his mother was Julia Furey. His paternal grandparents were Martin Flanagan and Mary Murphy; his maternal grandparents were Edward Furey and Catherine Reilly. He had six brothers and six sisters, named Martin, John, Patrick, Gerry, Michael, Kieran (Tom), Kitty, Chris, Celia , Celia, Theresa and Maura. 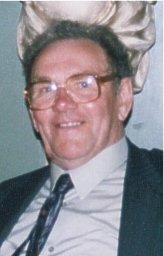 He died at the age of 80 on September 13th, 2011 in Co Galway.